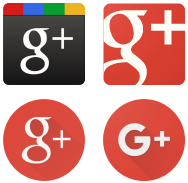 Back in November 2015, Google had announced a new user interface for its social network Google+ and there was a lot of justified criticism about this new version that had been introduced in parallel to the familiar look that had been in place since Spring 2013. Yesterday, about fourteen months later, Google announced that the transition period is going to end and the ‘Classic’ interface will be permanently switched off on January 24, next Tuesday. While I expect there will be a fair amount of wailing and gnashing of teeth, Google has actually done everything right this time. Almost four years ago, the first user interface change was thrown at the users practically without warning, but this time, Google has made sure that the over a year long transition was also accompanied by listening to feedback and actually making the improvements the users really want. At first, the new user interface was a bit of a mess, but now, especially after yesterday’s announcements, it has finally become fully useable, although some things have indeed changed. First the really good news that show giving feedback to Google and shouting loud enough actually works: I had often been lamenting the demise of Events because we’ve been using them extensively in the WSH Crew for Hangout invitations and promotion and I was very disappointed when Google’s initial stance was that Events would not be a part of the new Google+. To everyone’s surprise, yesterday’s announcement was a complete reversal of that and now Events will be integrated into the new interface after all! This is going to happen as early as next week Tuesday and although it has been mentioned that there is still work to do on Events and they may appear in the old style for a while, they will be getting their own entry in the left sidebar and of course they have been there all the time in the mobile apps. We will probably start using Events for invitations again over in the WSH Crew Community coming next week if everything looks good. Circles are here to stay – but they’re hidden by default and have to be switched on manually in the settings. Look for “enable circle streams in navigation” in the web interface and “display circle streams for this device” in the mobile apps. While circles are still an important feature for personal use to sort the people and pages you are following like Twitter Lists or Facebook User Groups, sharing them has unfortunately been long since disabled because the feature had reportedly been abused too much. Creating and sharing Collections has fortunately now largely replaced the former Google+ cornerstone of Circle sharing and it actually works better from a social interaction perspective. Many groups of users including photographers have now thoroughly embraced a combination of Collections and Communities. Photography features are different, but not worse – There are still a lot of people saying that photographers have been thrown under the bus in the new Google+, but what really happened is that a clumsy and inefficient photo sharing and organizing system has been replaced by Google Photos, which is much more easy to handle. The main difference now is that the link between user’s photo libraries of Google+ and Google Photos has been severed and uploading a photo on Google+ does not make it appear on Google Photos – but you can easily share images from Google Photos to Google+. The new way to properly manage photo is first to upload and organize in Google Photos and then post from there to Google+. Inline album functionality is still a bit lacking (especially the inability to give a posted album a proper name) and the internal G+ image picker is problematic at best, but Google is aware of both issues and will fix them at some point. One major grievance has also been fixed: the new Google+ Image Viewer now has zoom capability again, although no true fullscreen feature – but that is not as big of a problem as it seems, because you can always hit F11 instead of the spacebar to go into your browser’s fullscreen mode. I will probably write another separate post about how to organize and share photos with Google+, Photos and WordPress soon too. Layout improvements are on the way – One of the promises of the announcement is an optimized display with ‘less white space and more posts’ – and I’ve already seen some of it happening in my account. One of the frequent criticisms of the new interface was the size of images in the stream – and that has now changed with photos now appearing even bigger than they did in Classic G+. There have been reports that on some displays the new interface suddenly changes to a much too tight, three-column layout, but I have not seen that happening myself and I’m enjoying a very good-looking and clean Google+ on both my 15″ laptop and my 19″ 16:10 screens. Results may vary depending on screen resolution and aspect ratio, though and there is still the option to switch everything to a one-column layout. Something that still needs to be fixed is the extremely cramped left sidebar in the communities, but Google is aware of this and has been hollered at several times about this issue. Comment Filtering is now a thing – This is not something I personally like – Google+ now has an option to hide low-quality comments and unfortunately it’s on by default and at the moment you can only switch it off on a post-by-post basis. This may be a good idea for users who have to deal with a lot of comments at once, but it’s not clear what really constitutes ‘low quality’, so I’m a bit wary that I could actually miss some sensible comments that might be worth answering. This really needs a global on/off switch – and it also brings me to something I really need to write up myself now that I’m getting more and more comments on my posts, namely a comment policy. The View Counter is going away – Those unrealistically numbers below your profile photo how many times your content has been viewed are not going to be carried over, reportedly because the numbers are wildly inaccurate. Even I have supposedly over 100 Million views, which is kind of a crazy number. The image view counter is apparently still working, but can only be displayed on mobile devices right now – it might be re-integrated in the new image viewer, though. I have it on very good authority that those actually rather crude measurements will be replaced by something much more awesome and useful in the future. Overall, the new Google+ is not only promising to shape up well, it already is pretty much awesome as it is. The old user interface was getting more than a bit long in the tooth and after almost four years it’s time for an upgrade. This transformation has been going on for over a year now and even after next Tuesday, Google+ will still continue evolving and improving. And above all, please DON’T PANIC!